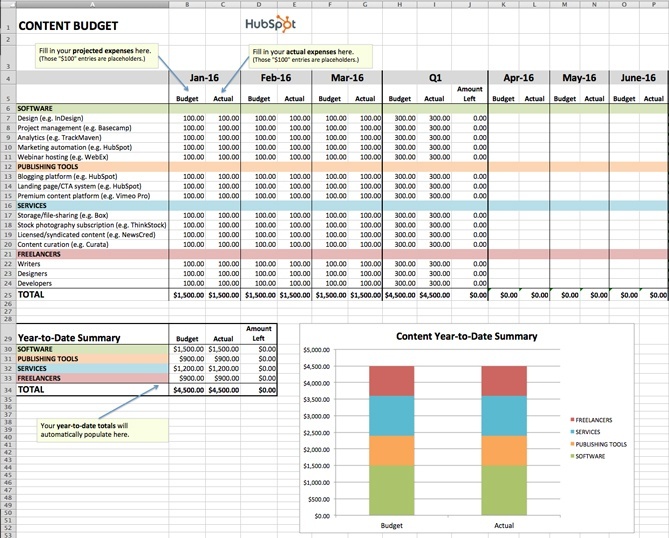 HubSpot also recommends these 8 budget templates. Let's say your company decided to invest in a website redesign so you can improve lead generation, and you're responsible for managing the project. Naturally, one of the first questions you have is, "How much is this website redesign going to cost?" The answer, of course, is "it depends." Are you simply switching to a new template and adding some new CTAs, or are you migrating your entire website to a new platform? If only there were a way to organize your answers to all of these questions -- a place where you could enter in estimated costs for all of your line items, and then compare your projected marketing budget to what you actually end up spending. 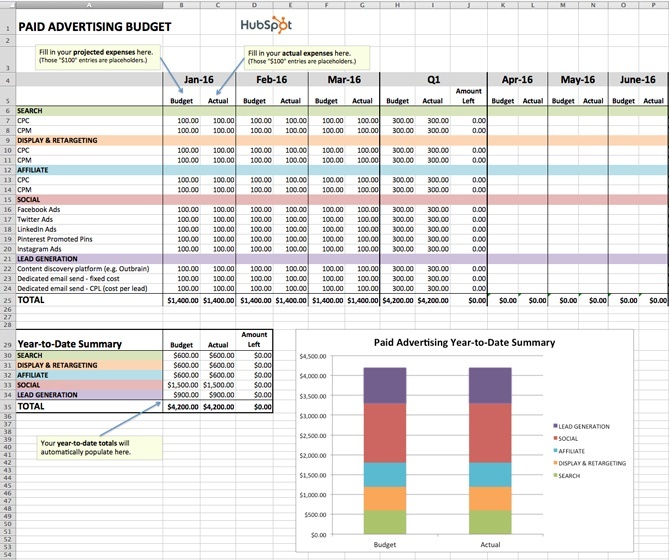 Good news: Our free marketing budget templates have got you covered. 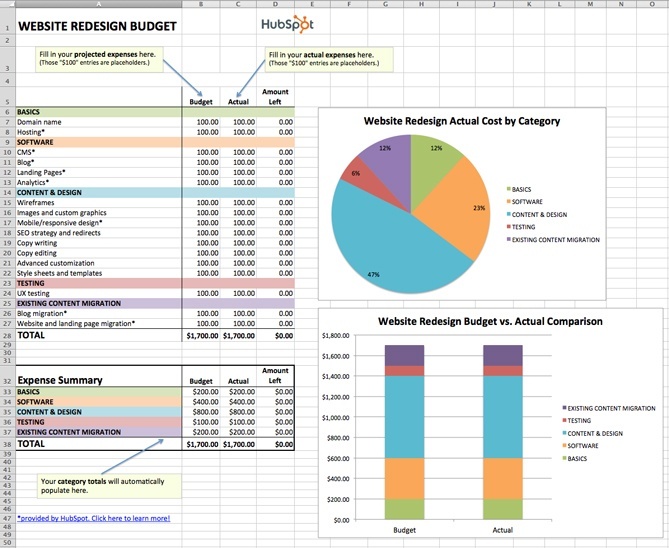 Included in our eight budget templates bundle is a template to manage your website redesign ... as well as templates for both Excel and Google Sheets to help you track your content budget, paid advertising budget, event budget, and more. Marketing budgets can be difficult to establish for both small and large businesses. If you're a small business, you might wonder which marketing expenses you should start with. If you're a large business, having multiple marketing teams or operations in play can make it harder to ensure everyone across the department gets what they need. So, what should you spend your marketing cash on? 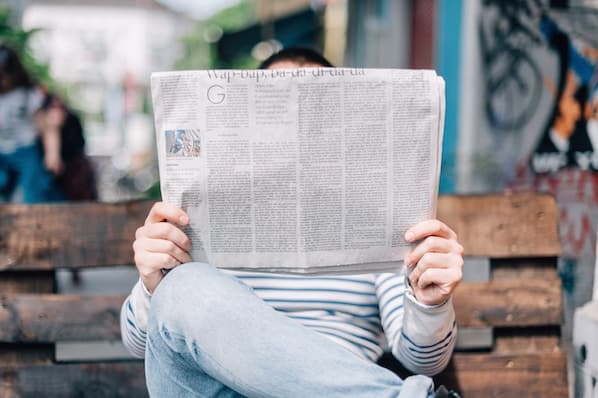 First, let's identify a focal point: According to investment agency, Magna, money spent on digital media will increase by 11.8% in 2019, up from $106.6 million in the U.S. alone in 2018. This includes initiatives that cater to audiences on desktop computers, search engines, video streaming platforms, social media, and mobile devices. Digital media makes up more than half of the country's total advertising spend. Given the success marketers have seen in it, you might consider spending at least half of your marketing budget on some of the digital channels mentioned above. Spreadsheet knowledge, alone, won't help you understand how you'll spend your marketing money this year. Creating a sound marketing budget starts with knowing what purpose this budget will serve and which marketing teams it will represent. Display ads to promote a new product you're launching this year. Contract bloggers to get more organic search traffic to your company's website. HubSpot's former Demand Generation Marketer and Trello's current Growth Marketing Lead, Jessica Webb, says this about how your costs can change when focusing on lead generation vs. lead conversion: "The majority of the money you spend on paid efforts is usually calculated based on volume of clicks or impressions. Because of this, you'll often want to put more budget toward campaigns with higher-volume offers and audiences." 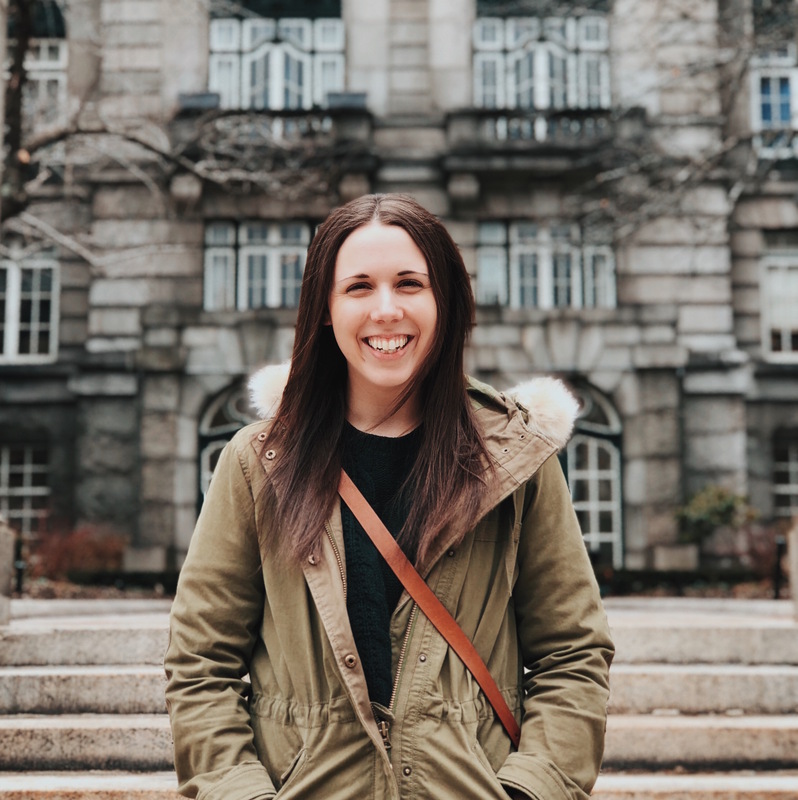 "For example, a tweet or Facebook ad promoting a lead generation offer that leans more top of the funnel will likely receive more clicks than something that falls more toward the middle or bottom of the funnel," she explains. Your paid advertising costs will also change depending on how wide of an audience you are attempting to reach. "You can look at Twitter advertising as an example," Webb explains. "You have to option to target your campaigns based on users' interests or keywords searched for. Interests are a much broader category, whereas smaller pockets of users are searching for any given keyword, therefore your interests-based audience is going to be much larger and require a larger budget." One of the great advantages to having and maintaining a budget spreadsheet is that it helps you avoid those end-of-the-quarter or end-of-the-year freak outs when you realize, "Whoa … what did I spend all that money on?" In many cases, unanticipated costs can force marketers to fork over cash that they didn't plan on spending. Product marketing offers a perfect example. According HubSpot's VP of Marketing Meghan Keaney Anderson, it's easy to forget that successfully marketing your products and services requires more than just promotion. "When people allocate budget for product marketing, they tend to think in terms of product launches and promotional activities," Anderson explains. "That's certainly an important part of it, but another area of focus to remember is setting aside resources to conduct research and message testing long before the product ever goes to market. Having conversations with customers about the pain points your product will ultimately address is critical to shaping the messaging and having a successful launch." 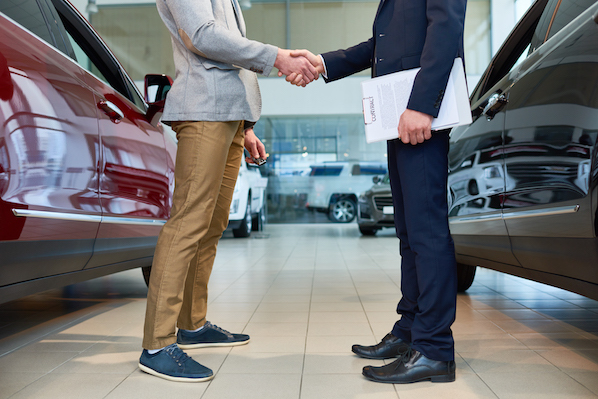 Marketing is overflowing with add-ons and extras, upsells, and "premium" versions. One of the best ways to assess what's nice to have versus what's absolutely necessary is to (you guessed it) organize all of your expenses. 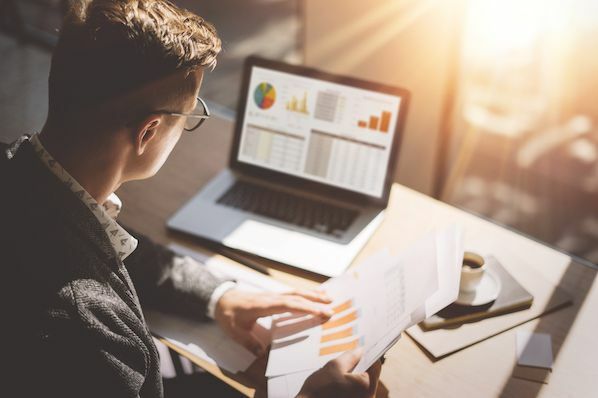 By keeping tabs on where your budget is being allocated, and cross-checking that spending with the results you're getting, it will be much easier to figure out what should keep getting budget and what should get kicked to the curb. For example, let's look to the world of public relations. In PR, there are countless tools to which you can allocate budget, which could leave you overspending where it doesn't matter -- and underspending where it does. 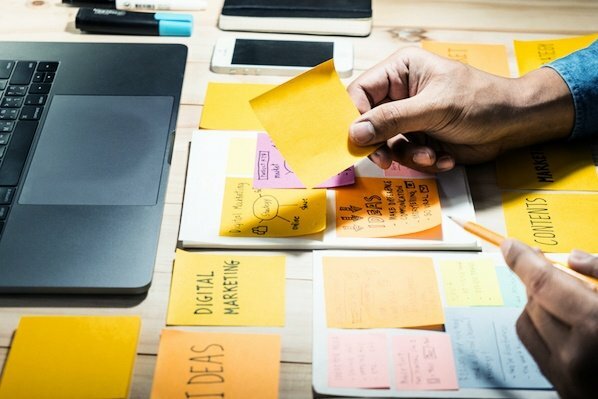 "Tools abound to help PR practitioners not only create and distribute great content and find and target key stakeholders, but to ultimately measure reach and effectiveness," says Nathaniel Eberle, HubSpot's former Director of PR & Brand and LogMeIn's current Director of Global Brand Management. "The key is making sure you're laser-focused on who you're setting out to reach and influence, then ensuring that your budget supports how they'll most likely want to receive (and share) your key messages. "As the media and digital landscape evolves at breakneck speed, continually reassessing the tools, services, and programs you're employing is a great way to determine real-time ROI of your overall spend. Today's measurement tool may be worthless to you tomorrow." 4. It's not all about the Benjamins. When you open up these budget templates and check out all the various expenses detailed in them, don't fret if you can't tick every box. I'm not advocating for an "always spend more" approach to marketing. I'm advocating for an "always spend smart" approach. The expenses listed out aren't mandatory -- they're just meant to guide your thinking and to help ensure that you haven't overlooked any hidden costs. With that in mind, here's the full list of budget templates included in the bundle. 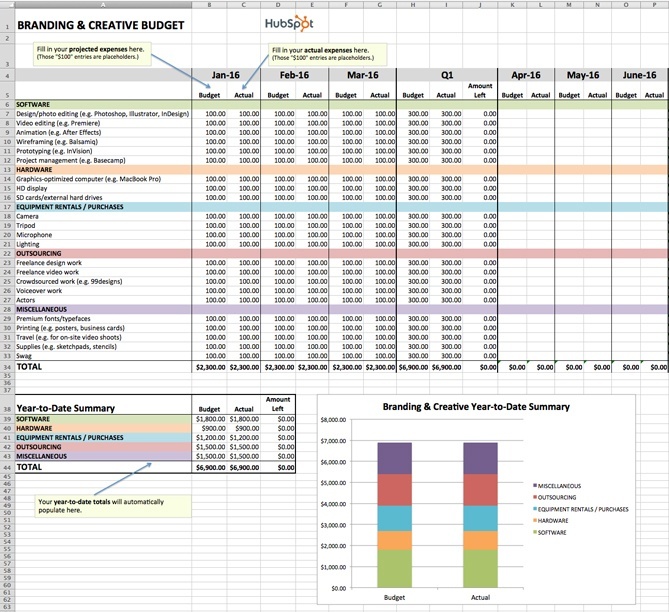 With the 8 Free Budget Planner Templates to Manage Your Marketing Spend, you'll be able to manage all of the moving pieces of your budget at a monthly and quarterly level. 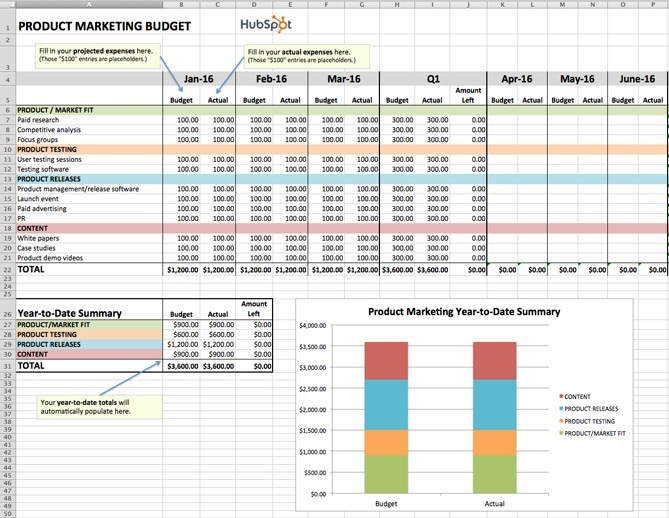 Use the Excel version of the templates to keep all of your budgets in one place. When you download the zip file, you'll find a separate file for each marketing team, as well as a Master Budget Template to maintain a high-level view of your overall expenses. 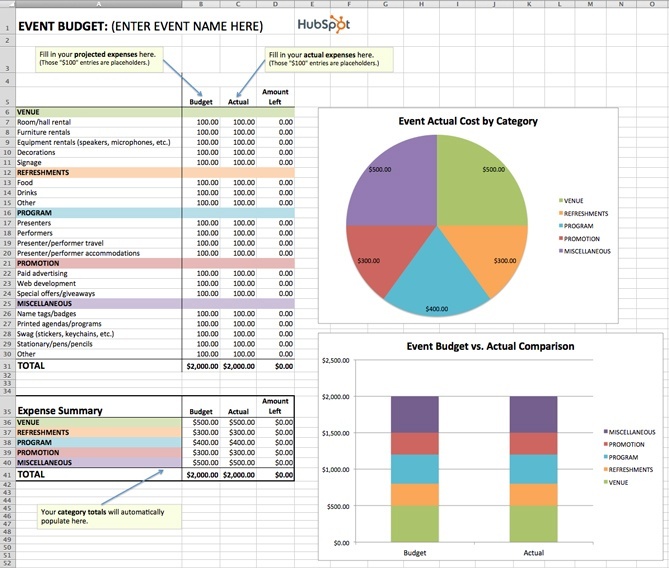 While it's helpful to have individual budget templates for specific marketing departments and activities, it's also nice to be able to take a step back and see the bigger picture. 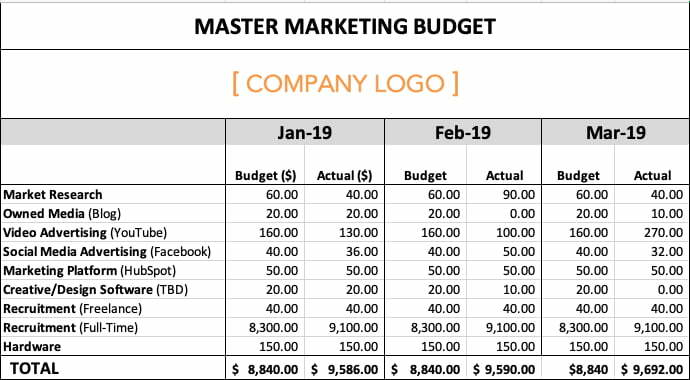 The Master Marketing Budget Template lets you do just that: It's the place where you can collect the totals from the other seven templates in the bundle and see all of your expenses in one place. This template will guide you step-by-step through the process of budgeting for a product launch. 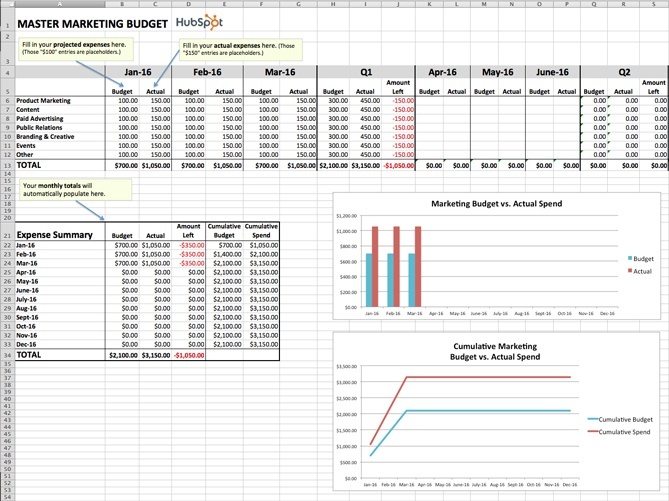 From determining product/market fit, to running user testing sessions, to promoting your finished product, our Product Marketing Budget Template will help ensure you don't overlook any important expenses. Paid advertising: Does it really qualify as an inbound marketing tactic/channel? That is a loaded question, my friends, and one that I don't have room to answer in-depth in this post. What I can tell you for sure is that you can do paid advertising in an "inboundy" way -- i.e. by targeting specific buyer personas and using paid advertising as a supplement to your organic efforts to help drive awareness and conversion opportunities. 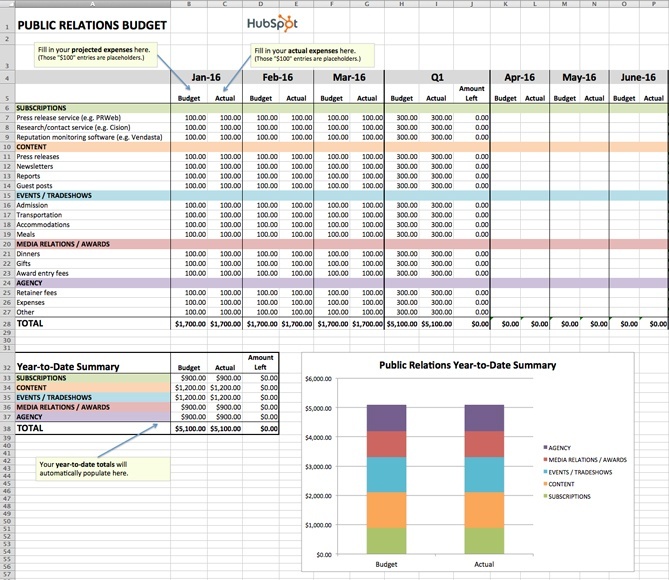 To ensure you're accounting for all of your organization's PR-related expenses, check out our Public Relations Budget Template. In order to produce high-quality, innovative graphics, videos, and other content, the branding and creative teams of today need more than just Photoshop ... a lot more. One of the largest -- and often most overlooked -- expenses is storage. If your organization is producing a lot of video, storage is especially important. Because as it turns out, when budgeting for video storage, you shouldn't be thinking on a megabyte (MB) or even a gigabyte (GB) scale, but on a terabyte (TB) scale. FYI: 1 terabyte = 1 trillion bytes. You can keep track of all your storage costs (and other branding and creative costs) using our free template. Unsure if your current website is right for a redesign? Check out this HubSpot research report: Does Your Website Make the Grade? Chances Are, It's Barely Passing. When planning an event, the associated costs can seem obvious at first. There's the venue to consider, of course. And the P.A. system and microphones. And then the costs associated with booking and bringing in presenters/performers. That's pretty much it, right? For example, does the venue come with tables/chairs, or will you have to rent those separately? Do you want your attendees to wear name tags, and if so, will you be printing out the name tags ahead of time or will attendees be writing their own names on blank tags? If the latter, have you factored in the pens or markers you'll need to accommodate that? As you can see, planning for an event can lead you down many rabbit holes. With your chosen template downloaded, it's time to consider which digital channels to allot a budget for. Hint: There's no right answer -- it'll depend the market research you do to figure out where your specific audience spends most of its time. If you find your buyer prefers learning and consuming content in the form of video, for example, you might invest more of your money in YouTube advertising. Alright, enough explanation. Here's a small, sample budget for a quarter's worth of expenses by a hypothetical company that has decided to invest heavily in video marketing. This template was created using the Master Budget Template, the first template listed in the section above. Based on the figures above, video advertising's total expenses for the quarter exceeded budget by $20, while full-time recruitment's total expenses exceeded budget by $2,400. This means the company is trending over budget for the first three months of the year. Why might this happen? Perhaps a pay-per-click (PPC) campaign on YouTube received more clicks by viewers than expected, and a sharp video-savvy job candidate negotiated a higher salary. Go now, and plan wisely -- your marketing staff is counting on you.